DO I NEED PLANNING PERMISSION FOR A ROOF? a so-called “Article 4 Direction” or other planning condition is in place for the area in which you live. If you live in a Listed building – that is a building afforded special status because of it significance architecturally, historically, or culturally – you will probably require Listed Building Consent from your local planning department. It may be that your original proposal needs to modified sympathetically to suit the circumstances of your property; this could, for example, include the incorporation of faux Victorian or similar skylights. An Article 4 Direction on the other hand is a specific planning control imposed on a geographic area – typically a conservation area – rather than an individual property with the intention of maintaining the “character” of that area. Article 4 Directions are not issued lightly – local councils may actually be liable for compensation to homeowners whose normal “permitted development” rights are removed as a result – and are entered in the Land Charges Register which must, by law, be maintained by any local council.You should, therefore, already be aware of any such controls. Do I need planning permission for a roof? While this is a great question to ask before making any alterations to your roof, the answer to this question is no you do not require any planning permission in order to fix the roofing on your home or insert roofing lights to allow more light to shine into your residence. Roof lights, skylights, velux windows planning permission is not required. In order to ensure that you will not need any planning permission you must stick within the allotted guidelines for any alterations that you will be making to the roof of your home. The project that is being altered should not be more than 150 millimeters away from the existing plane of the roof. 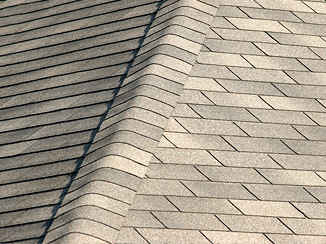 None of the alterations that are made on the roof should extend the highest peak of the roof either. When adding roof lights, skylights, velux windows planning permission is not required, but you will need to obtain approval through the building regulations department. When installing a roof light, the structure of the roof will need to be changed, creating the opening. The roof needs to be strong enough to hold the added weight that the new light will cause. If it cannot hold the weight of the light, you need to strengthen it somehow. Do I need planning permission for a roof, no you normally don’t, but you will need to ensure your alterations fit within the building regulation guidelines.